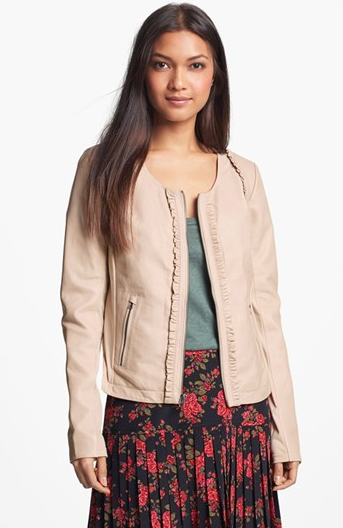 Hinge Leather Jackets on Sale on Nordstrom! Hinge Ruffle Trim Leather Jacket. It’s now on sale for $119 with free shipping – WOOHOO! Don’t tell the Huz but I totally splurged. It’s coming next week. What do you think? How could I not? It’s so perfect for the fall!